CrazyBulk Clenbutrol Review | Buy or a Scam? Crazy Bulk Clenbutrol is advertised as a legal steroid and an alternative to Clenbuterol, a steroid type drug used illegally for bodybuilding and weight loss. Crazy Bulk Clenbutrol does not contain Clenbuterol and is legal, but is it any safer than the real thing and does it work as described? We find out more about Crazy Bulk Clenbutrol. Crazy Bulk is a supplements company aimed at bodybuilders. Many Crazy Bulk products named after illegal steroids, and are what the company describes as legal steroids. The company is based in the USA but offer free shipping worldwide. Crazy Bulk Clenbutrol is marketed as a legal steroid, and as a safe but effective version of illegal anabolic steroid Clenbuterol. Don’t be fooled. Crazy Bulk Clenbutrol is nothing like Clenbuterol and in fact, this whole idea of the legal steroid range looks like a scam. This supplement is being talked up all over the internet and seems popular, but this is not because it is any good. It is because Crazy Bulk offers a very attractive affiliate program meaning if you advertise their supplements you will get paid a lot of money. That said Crazy Bulk Clenbutrol may have a slight weight loss effect, but it is impossible that this supplement will work in the way described by the advertising. What Are The Side Effects Of CrazyBulk Clenbutrol? Although the ingredient quantities are low, this supplement may cause side effects in some users. These may include increased heart rate, increased blood pressure, sweating, jitteriness, headaches, abdominal cramps, gas, upset stomach, dizziness, and nausea. How Much Does CrazyBulk Clenbutrol Cost? Crazy Bulk Clenbutrol is not only expensive, but it is also massively overpriced. It is only available from the Crazy Bulk website where one bottle of 90 capsules (1 month’s supply) costs a whopping $61.00. If you make multiple buys, the price is slightly reduced. If you buy two bottles you get one free. This option costs $123.98 for three bottles. We do not rate Crazy Bulk Clenbutrol at all. In our opinion, this supplement and the entire brand is little more than a scam and if you buy this overpriced supplement expecting it to work, you will be disappointed. In a way, it is genius! Crazy Bulk have come up with a range of very ordinary looking supplements such as Clenbutrol, given them some dangerous steroid names and marketed them as high priced powerful legal steroids. Added to this are the network of affiliate marketers hungry for sales, and the promise of up to $200 for each buyer they direct to the official site. Crazy Bulk Clenbutrol is a fairly uninspiring supplement with some underdosed weight loss ingredients added to the stimulant synephrine, and it is good that for most people, side effects are unlikely. But there is nothing here that will really help you bulk up and lose weight as claimed. Finally, at $61.00 for a month’s supply, it is a total rip off! We don’t recommend Crazy Bulk Clenbutrol to the Watchdog readers. Crazy Bulk Clenbutrol is a thermogenic diet pill which means it increases your body temperature, which in turn increases the speed of the metabolism. 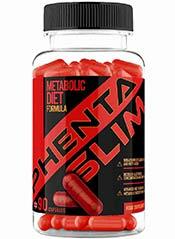 According to the product information, it replicates the fat burning effects of Clenbuterol but is a legal alternative. 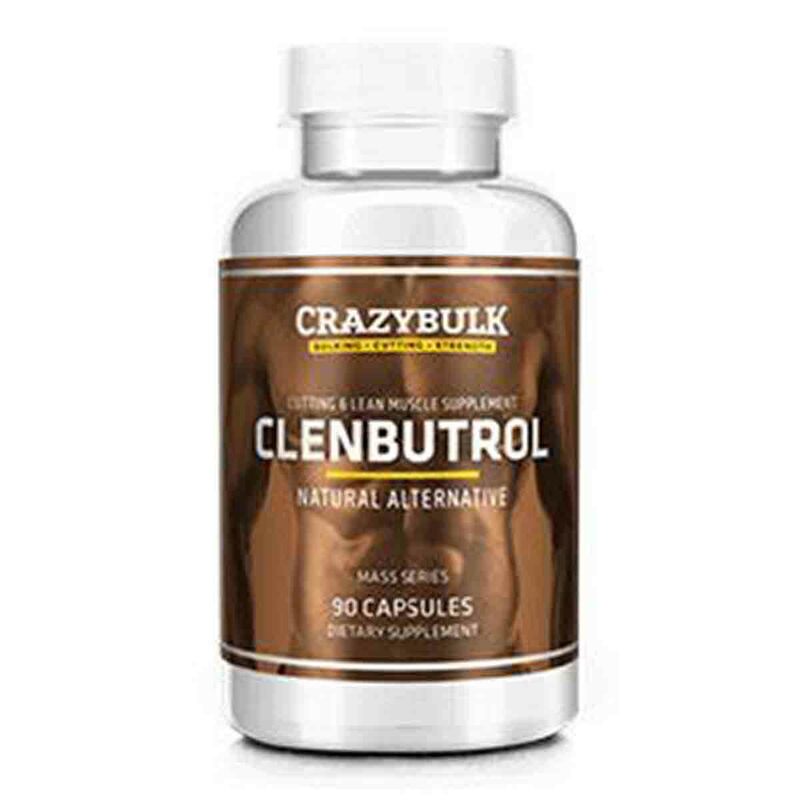 Crazy Bulk Clenbutrol contains stimulants. The principle ingredients are Citrus Aurentium, a source of a powerful stimulant called synephrine. It also contains Guarana extract which is a source of caffeine. Other ingredients are vitamin B3 and Garcinia Cambogia. The ingredients are clearly outlined along with quantities and include the active components, i.e. the true synephrine and caffeine levels. Check out the ingredients tab to find out more. Crazy Bulk sells a range of supplements that they call legal steroids. These are named after steroids and offered as safe alternatives. These include Winsol (Winstrol), Anvarol (Anavar), and Trenorol (Trenbolone), all of which can be stacked with Crazy Bulk Clenbutrol. You can contact Crazy Bulk via telephone: +1 (646) 893 7753. There is also a live chat facility on the website. Use with a suitable diet and exercise programme. For best results, use for a minimum of 2 months. Is this supplement sold only via the official site to prevent negative feedback from adversely affecting sales? Clenbuterol is used by bodybuilders during their cutting phase when they look to bulk up and lose fat. It is an anabolic steroid, meaning it increases muscle mass and is a powerful thermogenic stimulant that also increases fat loss. It is also a banned substance in sport and it is extremely dangerous. Clenbuterol is illegal across the UK and Europe and although not strictly illegal in the USA, ingesting it or injecting it is against the law. That said many people still actively search for Clenbuterol and use it for bodybuilding or cheating at sport. Tour de France cyclist Alberto Contador was banned for two years after testing positive for Clenbuterol and was stripped of his title in 2010. What Does CrazyBulk Clenbutrol Claim To Do? Crazy Bulk Clenbutrol may help support some weight loss, but there is nothing in this supplement that will help you build muscle, cause a ripped physique, or any of the other claims. However, you may find that your metabolism is increased and you may notice a slight thermic effect so as a fat burner you may find that it works. You may notice a slight increase in energy levels too. Effects will depend largely on your own tolerance but if you are used to taking strong bodybuilding supplements or drinking a lot of coffee, we can’t see it even being noticeable for most users. The principle ingredients are Guarana – a natural bean that contains caffeine and Citrus Aurentium, an orange extract that contains a stimulant called synephrine. Both of these are in fairly low amounts; the caffeine content adds up to the equivalent of one cup of coffee and although there is 450mg of bitter orange, only 6% of this is synephrine which adds up to 27mg per serving. Synephrine is extremely dangerous in high amounts because it increases heart rate and blood pressure and has a similar effect to taking amphetamines. However clinical research seems to suggest that 27mg (the quantity in each serving) is fairly safe for most people. The Garcinia Cambogia content is low and as this ingredient is unproven even in much higher quantities than here, we can’t see that it will have the desired “carb blocking “effect or do much at all. If you are expecting a strong fat burner with a stimulant buzz, you will be disappointed. What Are The Ingredients of CrazyBulk Clenbutrol? Garcinia Cambogia (50% Hydroxycitric acid) (450mg): Garcinia Cambogia is a sour fruit that has become popular as a weight loss ingredient and natural carb blocker. This is because Hydroxycitric acid (HCA) prevents a natural digestive enzyme called Alpha Amalyse from breaking down carbs into fat stores. Instead, some of these undigested carbs pass through the body undigested. It may also raise serotonin levels too. The scientific evidence is not strong for Garcinia Cambogia despite the claims and although it may do something, experts agree that the weight loss effects are minimal. Serving size here is extremely low compared to many weight loss supplements on the market which often contain around 1000mg per serving with a higher ratio of HCA. Bitter Orange Extract (6% synephrine) (450mg): Bitter orange or Citrus Aurentium is a type of orange which is high in a stimulant called synephrine which in turn is similar to banned substance ephedra. Synephrine is a Sympathomimetic agent meaning that it causes the body to mimic the stress response to danger, increasing heart rate, decreasing appetite, and raising the body’s temperature. Synephrine is potentially dangerous, especially in high quantities. Here the synephrine content per serving is 27mg and with 50mg tested and found not to raise blood pressure, it should be reasonably safe for healthy fit users. Guarana Extract (22% caffeine) (342mg): Guarana is South American bean that is higher in caffeine than coffee. The caffeine content adds up here to 75mg, which is roughly the same as an average cup of instant coffee. Does CrazyBulk Clenbutrol Have Any Side Effects? Not suitable for individuals under 18. Avoid if you are pregnant or breast feeding. Speak to your doctor or pharmacist first if you have an underlying medical condition or are taking prescription medication. Discontinue use in the case of side effects. 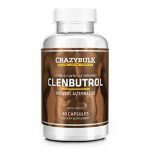 Are There Any Customer Reviews For CrazyBulk Clenbutrol? There are no genuine customer reviews for Crazy Bulk Clenbutrol. However, if you look online you will find positive comments about Crazy Bulk so-called legal steroids everywhere; on message boards, blogs, Instagram, Facebook, and other various websites. 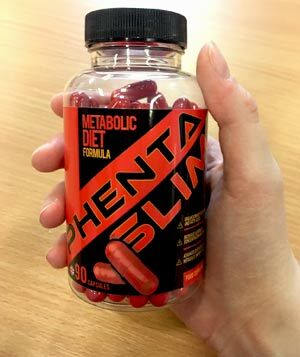 Everyone seems unanimous that Crazy Bulk supplements such as Clenbutrol work miracles, yet it is impossible to find anyone at all who has actually bought it and just written an ordinary customer review about it. There is a reason for this and it comes down to simple economics. Crazy Bulk offers an affiliate marketing program which pays up to a whopping $200 per sale. Affiliate marketing is where you advertise a product or business via your own website and get paid every time someone buys via your link. And at $200 for a sale of a combination of legal steroid products, we have to say it is one of the best returns we have ever seen from an affiliate marketing company. Many people obviously feel the same and there are literally hundreds of websites out there all trying to get your business, and all touting Clenbutrol as the greatest supplement ever! Does CrazyBulk Clenbutrol Offer a Money-Back Guarantee? There is no money-back guarantee beyond a standard returns policy on unopened and unused supplements. If you do want to return a product, the customer service live chat function is very helpful. You can also contact the company by phone on +1 (646) 893 7753. Where Can I Buy CrazyBulk Clenbutrol? You can only buy Clenbutrol via the Crazy Bulk website. Although many sites advertise the supplement, you can only buy via the official site. How does CrazyBulk Clenbutrol compare to Phentaslim? The Diet Pills Watchdog does not recommend CrazyBulk Clenbutrol.